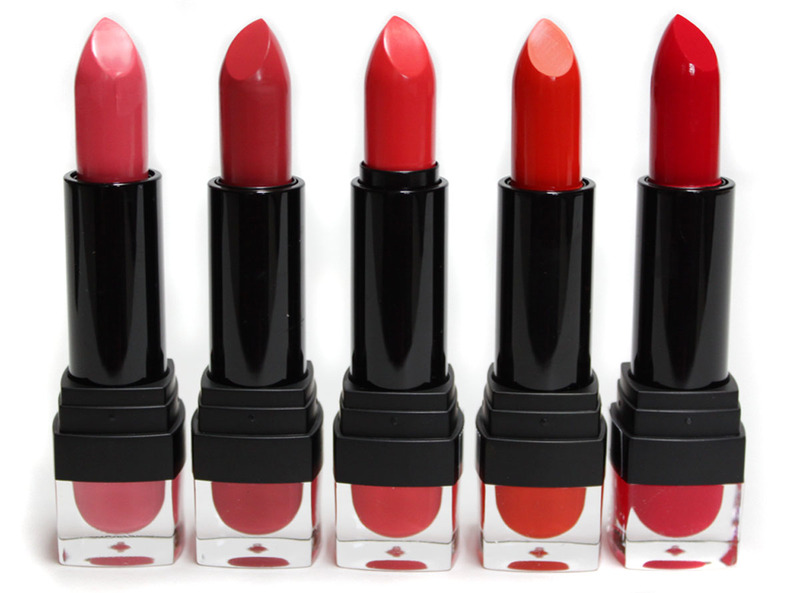 Give your lips Very Important Pout status with the NEW Sleek MakeUP Lip VIP lipstick collection. The collection boasts six velvety, on trend shades inspired by the luxuries of being a VIP – think red carpet premieres, the front row of fashion shows and celebrity photo shoots. It's even a favorite of Britain's Next Top Model. After a Winter of lackluster makeup I could not wait to get in to these bright new Spring shades! 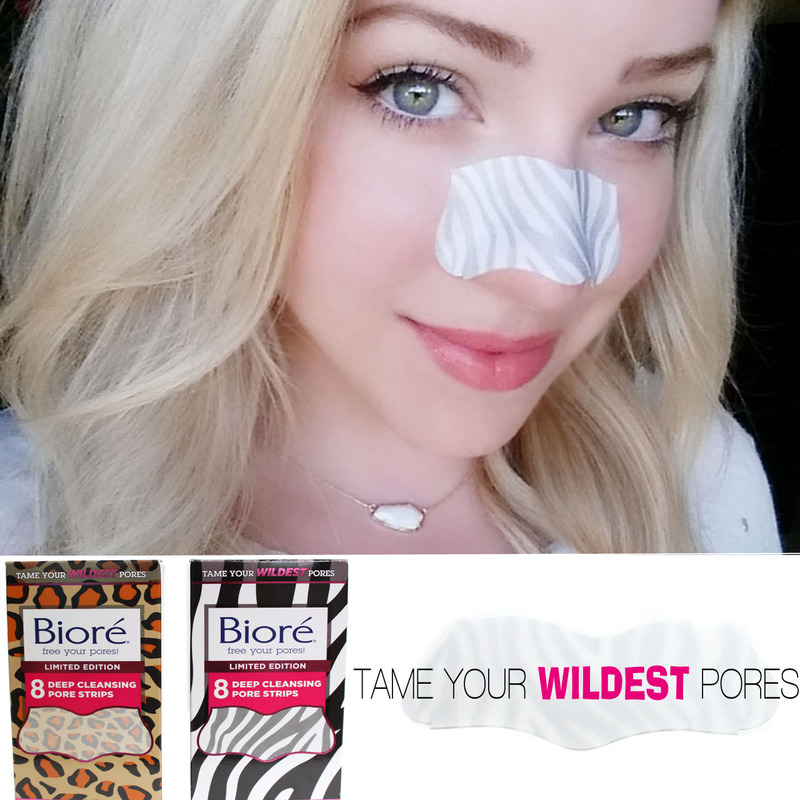 The luxuriously creamy, long-lasting formula glides on smoothly and leaves an even, semi-matte finish. Packed with Vitamin E, Shea Butter and Coconut Oil, this new formula is highly moisturising, giving you an intensely pigmented, velvety finish - without drying out your lips. Sign up the be a Shine Insider (its free) Take the style survey and add items to your wish list. 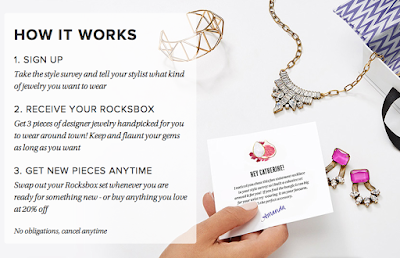 Your Rocksbox Stylist will select 3 of your Wish list pieces and send them out to you. Keep your box for as long as you want and flaunt those beautiful pieces. Return your Rocksbox set anytime and as often as you like. Every set has 3 pieces of designer jewelry, worth an average of $200 per set. Free return shipping every time. Every month you get $10 Shine spend, making your purchases always $10 off the insiders price. Basically, it's a sweet deal. 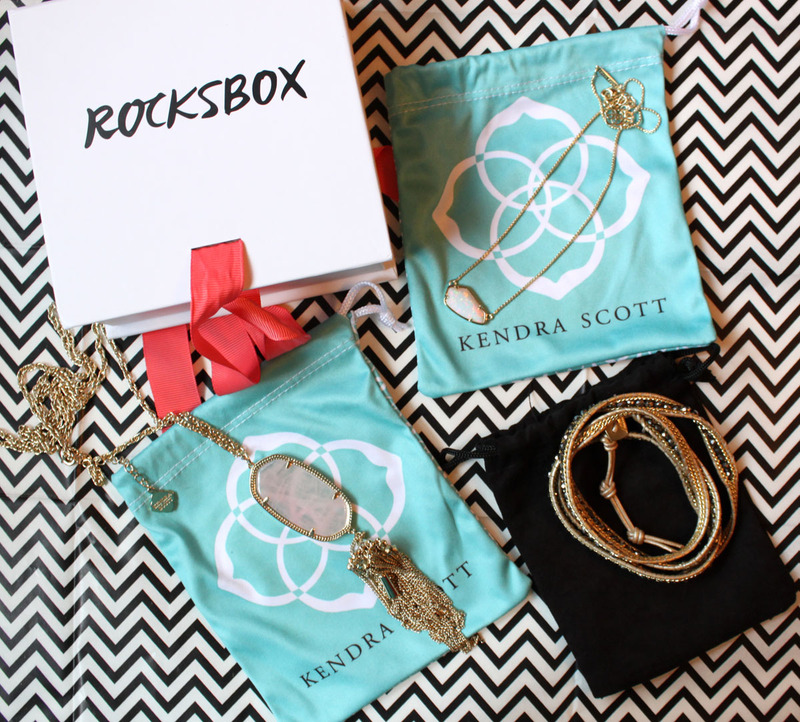 My readers get their first ROCKSBOX box FREE! Just sign up HERE or use code monroemisfitxoxo at checkout! 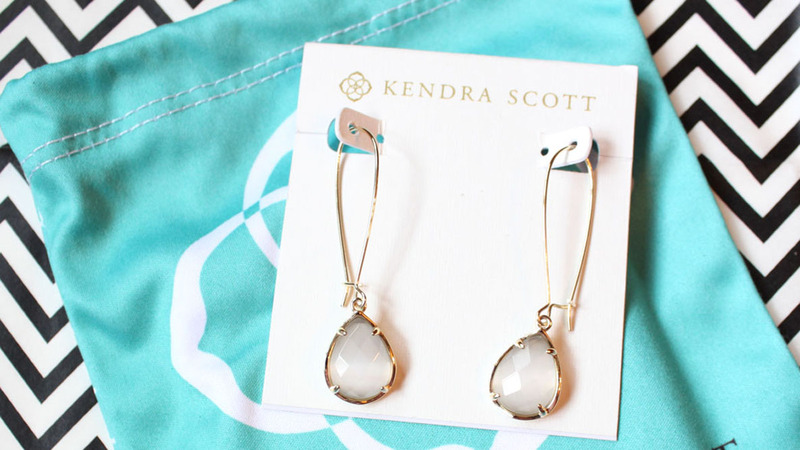 This was my first pair of Kendra Scott Dee Earrings and they are beautiful. In my last Rocksbox I received the Rayne pendant in Slate (which I bought) and these pair perfectly with the necklace. I'm normally a studs only girl, but these drop earrings are so delicate and dainty and the teardrop stone is beautiful. They are sort of a dip in the water to wearing a statement earring and I liked being able to try a style I normally wouldn't gravitate towards outright buying myself. I am a bit obsessed with druzy at the moment...okay really obsessed. 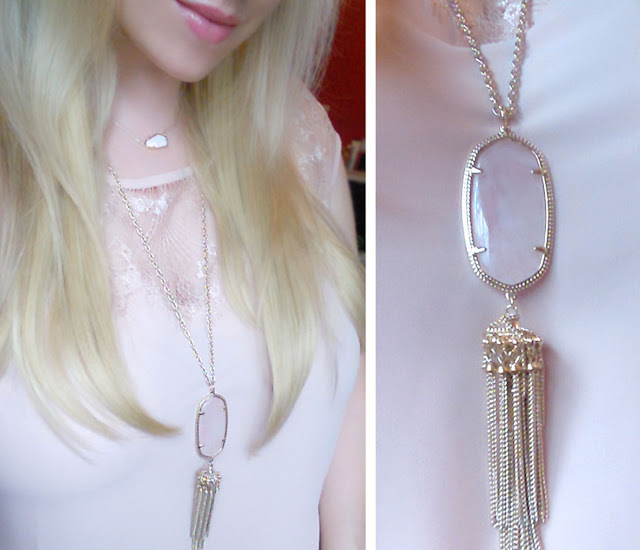 The Eisa Druzy Stone pendant necklace is so delicate I was almost afraid to wear it! The gold chain is exceptionally fine quality and the Hematite druzy stone is small but powerful. When it catches the light it sparkles so gorgeously. When I first looked at this ring I didn't find it all that special, then I put it on and changed my mind. It has a very modern appeal to it and the rhinestone disc gives the illusion of a stone. It goes with any outfit too. 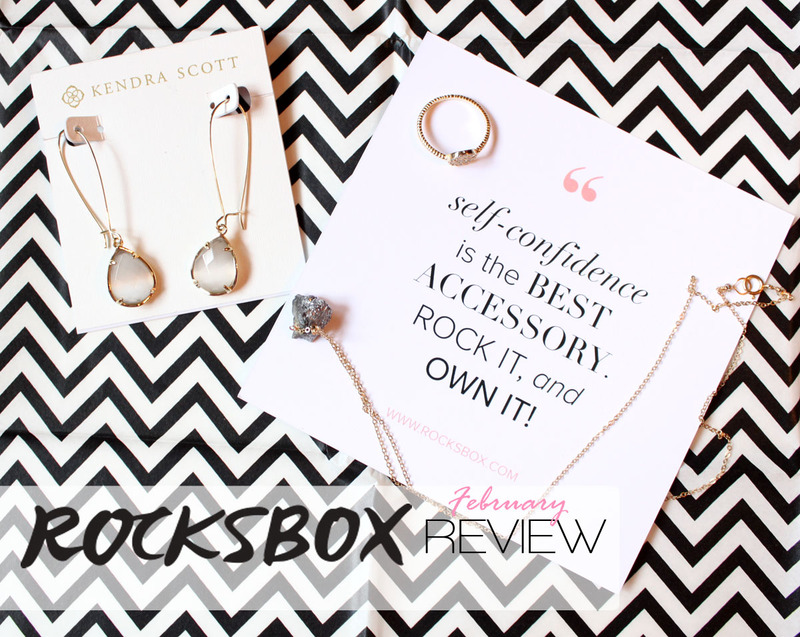 This ROCKSBOX headed back, I was on the fence about the Kendra earrings but I am more a necklace girl. 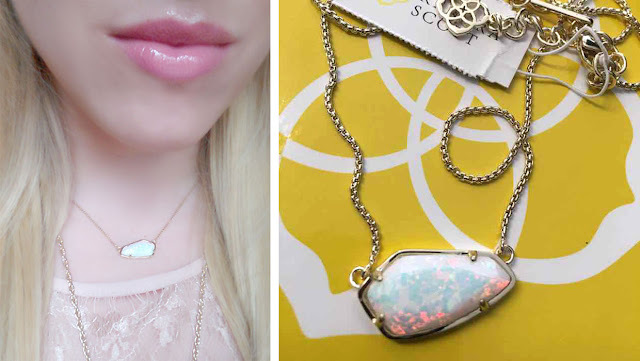 I loved the Bella Druzy pendant but the chain feels super touchy and I know I will break it. After my first box was sent back a new Rocksbox was already on its way to me in less than a week! That is awesome turn around time and means you can get multiple new pieces to wear in a month if you so wish. My second box I loved even more! Modern adornment meets mesmerizing color in this dainty pendant necklace. The Kyocera Opal stone pairs the fresh hues of aqua with the essence of naturally reflective opal. I have a feeling I won't take this necklace off all of Spring! I wore it 4 times just this week The stone is so beautiful and multi-faceted. Definitely one of my favorite Kenda necklaces yet. A lovely blushing pink stone with sleek gold chains, this classic silhouette of the Rayne is perfect for any occasion. Rose Quartz is the color of the year and blush tones are popping up all over for Spring. I know this color will get lots of use in the next two months. The quartz stone is gorgeous, it has a translucency to it that is so pretty. You can't go wrong with the Rayne pendant it is the perfect long line necklace style for any outfit casual or dressed up. This boho wrap bracelet is gorgeously made and a great piece to pair with casual looks. The beautiful sparkle and weight of the weave make it look so much more chic than your usual wraps. 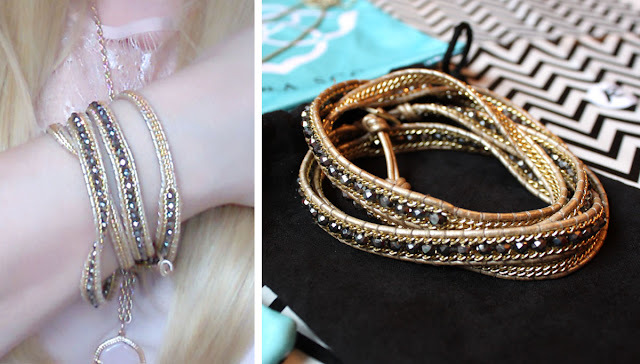 Rocksbox has quite a few Nakamol wrap bracelets to put on your wish list so there is sure to be a color combo for everyone. From this ROCKSBOX I am absolutely buying the Kyocera Opal Necklace and likely the Rose Quartz Rayne too. Both pieces I know will be staples throughout Spring, the Nakamol bracelet is so boho and cute I might have to get that one too. 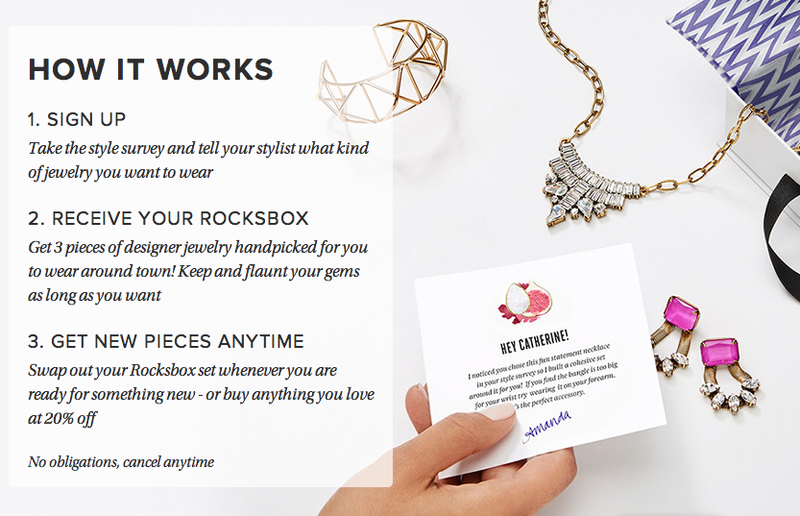 This Rocksbox completed my Spring jewelry style and I credit that to leaving my stylist a note on your box on the website. I requested the Kyocera and she granted it. If you haven't gotten your first choice definitely leave your stylist a note they do read them! Only requirement is to rock your awesome jewelry.